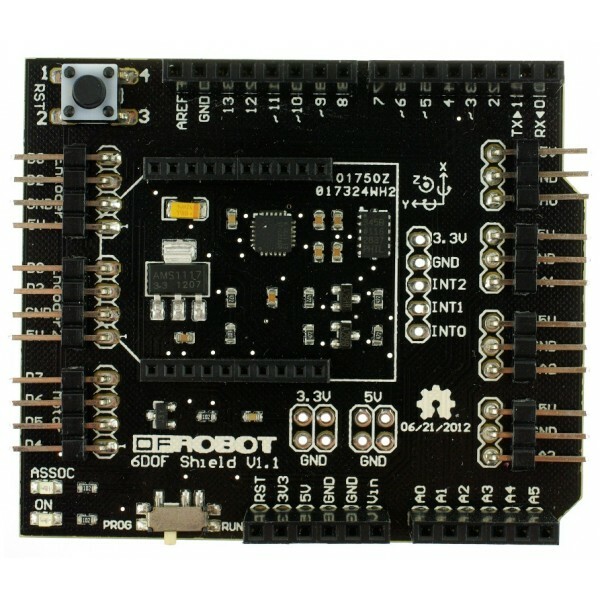 The DFRobot 6 DOF IMU Shield provides your Arduino or compatible microcontroller with the ability to sense its direction and movement in the real world. This IMU Inertial Measurement Unit provides six DOF Degrees Of Freedom by utilizing both an accelerometer and a gyroscope. Accelerometers measure the rate of acceleration or G-Force. Gyroscopes measure the angular velocity of how fast an object is spinning around an axis. Together, these sensors allow your robot's microcontroller brain to calculate its position, orientation and velocity. You can use this shield for an Arduino based balancing robot project. This shield can operate at either 5V or 3.3V for compatibility with a full range of Arduino family microcontrollers and compatibles. The Arduino communicates with the onboard sensors using the I2C interface. It uses an ADXL345 accelerometer and an ITG-3200 gyro. 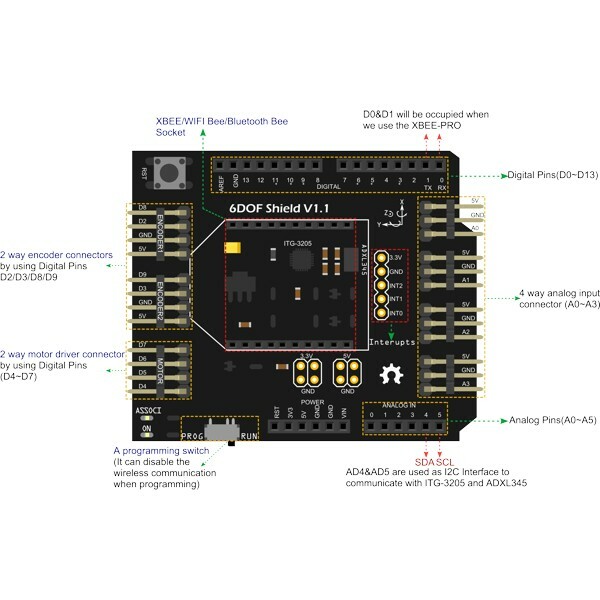 This board includes extra connectors and a XBee socket for additional functionality. The XBee socket can be used to attach a compatible ZigBee, Bluetooth, WiFi of other RF board for wireless communications. 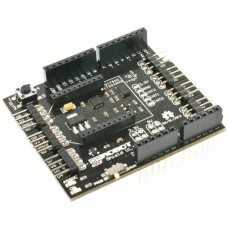 Note: This board is compatible with Arduino Uno R3 and later platforms such as the Leonardo. Use with earlier Arduino boards requires modification of the shield by attaching wires from the SLC pin to A5 and the SDA pin to A4. 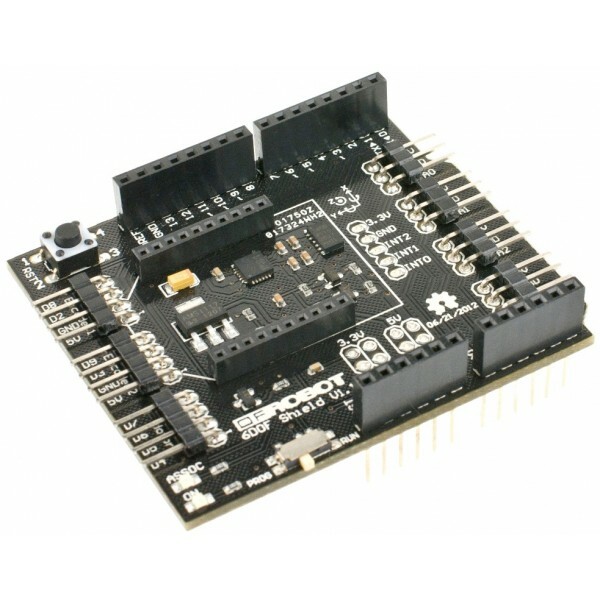 We recommend using this board with the latest Arduino boards to avoid having to make any modifications.